Plain white badge sheets that can be run directly from any thermal printer. Customize the layout and design of your temporary badges with your company logo or other custom graphic. 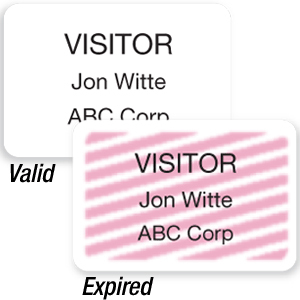 The material is set up so that when attached to an expiring back it will act as a one day (8 hours) visitation badge. Badges come rolled; 200/roll.